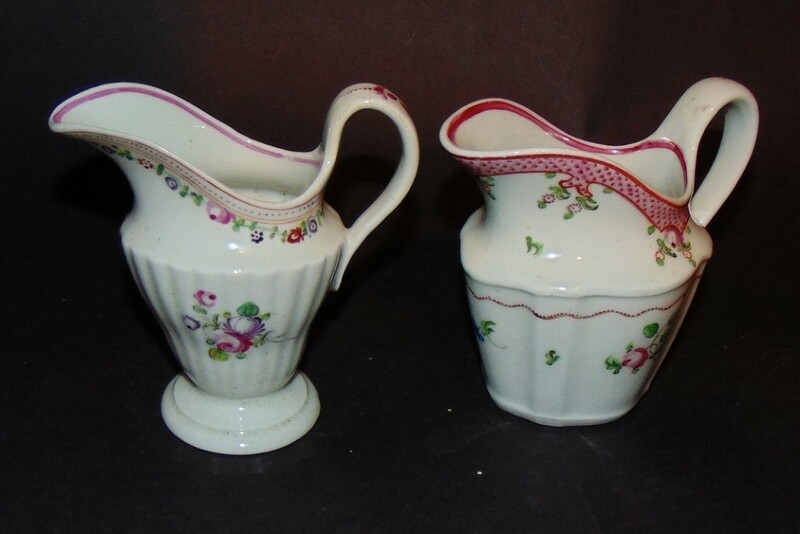 Two fine 18th century Newhall porcelain cream jugs of slightly differing shapes and all hand decorated with flowers. Both are in perfect condition with no chips or repairs. 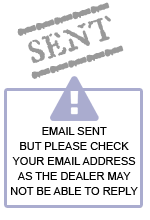 Can be sold separately - please inquire. 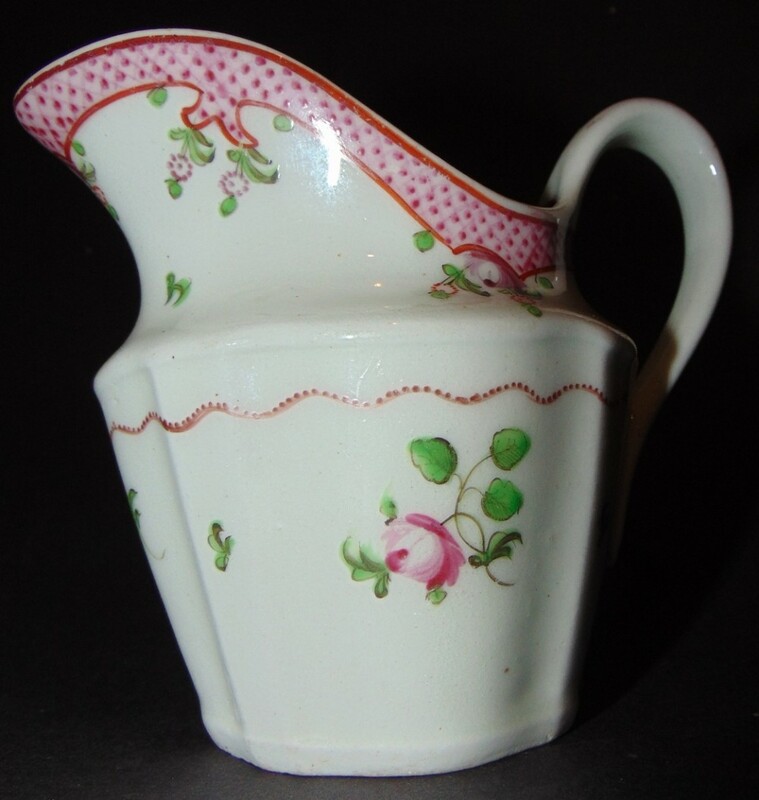 Sizes; 4-5" high, 2.5 - 3" deep, 5" long (spout to handle). 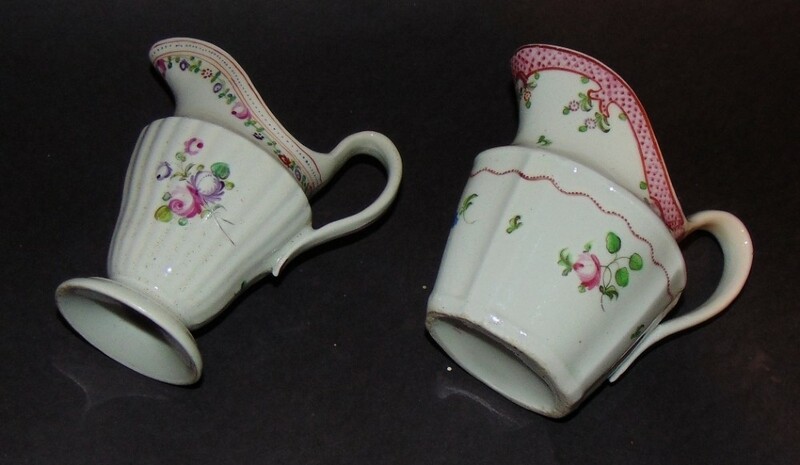 The 2 x 18th century Newhall cream jugs. 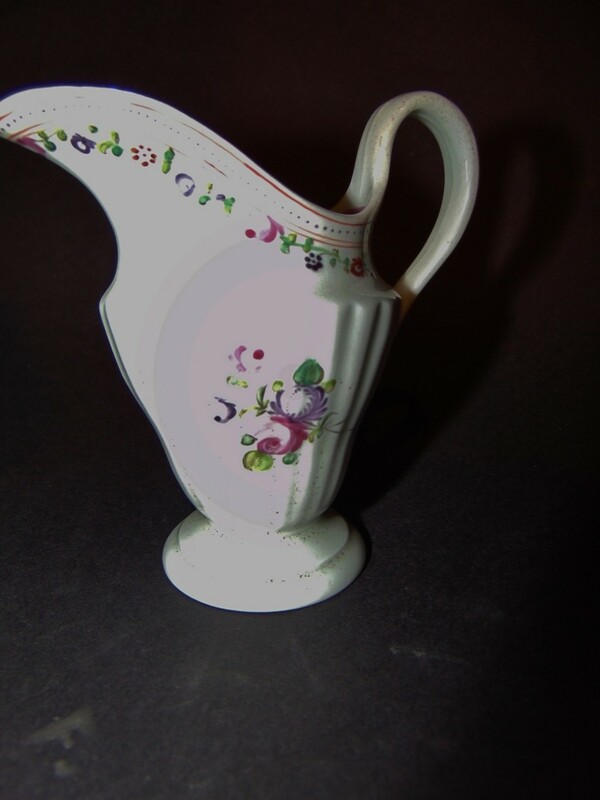 Circa 1785 has been added to your saved items.